Ability360’s executive team is comprised of individuals with extensive experience and education. The team has over 70 years of collective experience in the non-profit and independent living market. Phil Pangrazio is the President and Chief Executive Officer (CEO) of Ability360, one of the largest Centers for Independent Living in the United States, with an annual budget exceeding $35 million. Pangrazio oversees a wide array of programs designed to empower people with disabilities to achieve or maintain independent lifestyles within the community. Under Pangrazio’s leadership, Ability360 has experienced more than seventeen consecutive years of growth and success. Ability360’s expansion of its Home Care Services (HCS) program and the additions of both SSA Work Incentives Planning and Assistance, Ticket-to-Work Employment, Youth Transition Services, Living Well with a Disability and Arizona Disability Vote Project are just a few of his achievements. He also launched a comprehensive marketing and public relations campaign that has expanded Ability360’s visibility with donors, volunteers, government officials and the community at large. 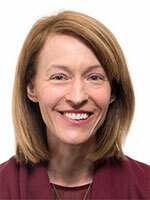 April Reed is the Vice President of Advocacy and Designated Legislative Lobbyist at Ability360. Reed received her Master’s degree in Social Work from Arizona State University in May 2005. She creates programs that empower individuals with disabilities and their families through advocacy-related workshops, one-on-one mentoring, facilitating wellness groups, providing technical assistance to develop consumer-driven initiatives and developing community partnerships to address barriers to consumer choice, equal rights and self-determination. Reed supervises several programs including the 65-member peer mentor volunteer team; Benefits 2 Work Program for Social Security beneficiaries working or seeking employment; This is MY Life self-advocacy educational program for individuals receiving services through the Arizona Division of Developmental Disabilities: the Community Leadership Academy; Theatre360 and the Living Well with a Disability Program. Darrel Christenson serves as the Vice President of Community Integration at Ability360. In his position, Christenson oversees Independent Living skills training, home modifications, information and referrals and Independent Living services to individuals with disabilities in Valley rehabilitation centers and nursing homes. All services aim to empower persons with disabilities to take responsibility for their lives and live independently in their community. 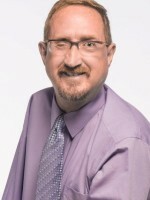 Prior to his post with Ability360, Christenson was the outreach coordinator for the Southeastern Minnesota Center for Independent Living (SEMCIL). During his time with SEMCIL, Christenson was responsible for the centers expansion, which included opening three additional branch offices to better serve the community. Christenson also provided direct services in rural counties to persons with disabilities, their families and the community at large. Christenson, a Minnesota native, graduated from Mankato State University, Mankato, Minnesota, with bachelor’s degrees in both Psychology and Sociology. Christenson also earned his master’s degree in Guidance and Counseling from University of Wisconsin – Stout, Menomonie, Wisconsin. In July, 2014, Darrel was elected to the National Council on Independent Living (NCIL) Board of Directors. 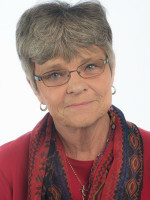 Gwen Dean serves as Vice President of Home Care Services (HCS). Prior to joining Ability360, Dean worked in collaboration with Maricopa County Long Term Care in the development of their attendant care program. She subsequently developed the Ability360 Home Care Services program, including attendant training, referral and program policies and procedures. Currently, the program is providing attendant care services to over 4,000 consumers. Dean’s experience also includes a position with Mental Health Resources in New Mexico, where she managed the transitional living center and day treatment program, designed to help residents with mental illness transition from state hospitals back into their communities. 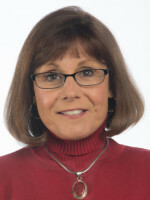 Susan Webb currently serves as Vice President of Ability360 Employment Services. Webb also served as Ability360’s Executive Director from 1991 – 2000. Webb has served more than 30 years as a local, state and national disability public policy advocate. In 1988, she was appointed by President Reagan to the U.S. Access Board, where she chaired the task force that developed the first ADA Accessibility Guidelines mandated and incorporated into the Americans with Disabilities Act. Later, she recognized that even with the ADA, people with disabilities still remained unemployed or underemployed because of Social Security Disability program disincentives. As a Board Member of the National Council on Independent Living (NCIL) and Chair of its Social Security Subcommittee, Susan advocated for the passage of the Ticket to Work and Work Incentives Improvement Act (TWWIIA), which President Bill Clinton signed into law December 18, 1999. TWWIIA offers opportunities and incentives to remove barriers to successful employment and reduces reliance upon government entitlements for thirteen million Americans currently stuck in “the system”. Webb was one of 12 citizens appointed by President Clinton and Congress to the Ticket to Work and Work Incentives Advisory Panel in 2000. At that time, Webb vacated her post as Executive Director to launch an Ability360 department focused specifically on implementing the Ticket to Work in Arizona. Webb earned a Bachelor of Science degree in Industrial and Organizational Psychology from Wayne State University, Detroit, Michigan, earned a Master of Business Administration from the University of Phoenix, and a Juris Doctorate from Concord Law School, Los Angeles, CA. She is also certified as a Senior Professional in Human Resources (SPHR) by the Society of Human Resource Management. Feng Chiou joined the Ability360 team in 2002, when the agency budget was $6.5 million. She now oversees financial operations for a budget exceeding $40 million. After earning a bachelor’s in Accountancy at NAU, Feng applied her financial/accounting knowledge in positions at Maricopa Integrated Health System and St. Luke’s Health System. 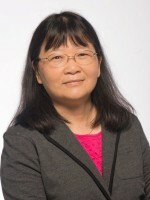 When she’s not crunching numbers, Ms. Chiou lends her expertise as a volunteer tax preparer for low-income individuals and has volunteered for Tzu Chi Foundation, an international humanitarian organization. LaZear’s background includes more than 18 years of experience managing major programs and initiatives in rehabilitative medicine, recreational therapy, outdoor adventures and other adaptive programming for people with disabilities. For the last six years, LaZear handled responsibilities as lead therapeutic recreational therapist at the Barrow Neurological Institute at St. Joseph’s Hospital and Medical Center in Phoenix. LaZear earned a master’s of Business Administration, with an emphasis in Health Systems Management, from Grand Canyon University and a Bachelor of Science in Therapeutic Recreation from California State University Northridge.